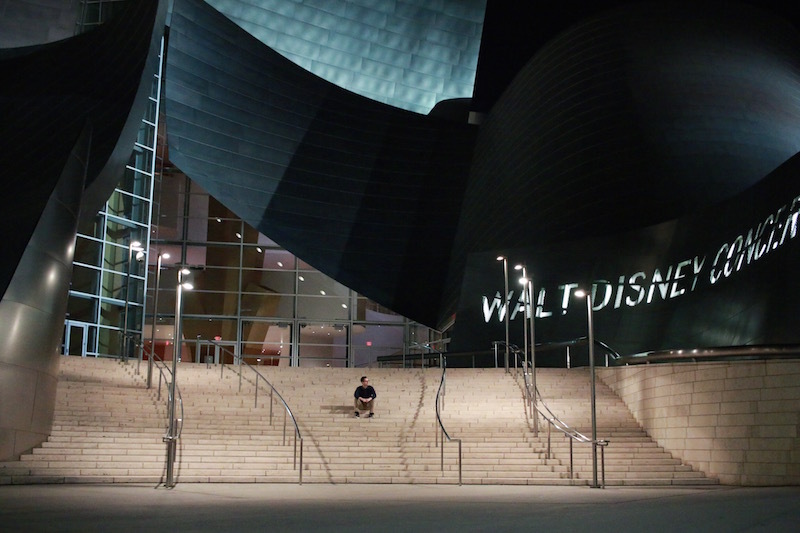 Walt Disney Concert Hall. Photo by Christina Minh / We Like L.A.
You know what’s handy? Waking up in the morning, firing up your phone/computer and being able to scan a super quick (but curated) rundown of the best of what lies ahead. So here it is, our list of fun things to do in Los Angeles for today, Friday, March 22, 2019. 1. [noon] Grand Central Market hosts Friday Night Flights every Friday starting at noon. The special includes a flight of drinks or bites from GCM vendors and a round trip ticket on the historic Angels Flight Railway right across the street for $15. 3. [4:20 p.m.] Amoeba Music in Hollywood welcomes Jenny Lewis for a signing and performance of her new album. 4. [6 p.m.] 4th Fridays on 4th Street activates the “Retro Road” business district in Long Beach on the fourth Friday of every month from 6 to 9 p.m. through extended hours, dining specials, discounted merchandise, pop up shops, art shows, live music, trolly rides and more. 6. [8 p.m.] Walt Disney Concert Hall presents BREATHEWATCHLISTENTOUCH: The Work and Music of Yoko Ono. Guests will experience Ono’s art and music performed by an ensemble of special guests in celebration of her sixty-plus-year career. 9. [various] Eataly Los Angeles’ first-ever Restaurant Fest (March 18-31) will highlight Italian spring time cuisine through two-course prix fixe menus from all three restaurants inside the complex. Available during lunch and dinner, prices range from $18-28 and select wines will be priced at just $25 a bottle for the occasion.